In recent years, online presence and social media profile has become a key to get noticed. MySpace page, Facebook fan page, Twitter profile are some of the ways to establish online presence. 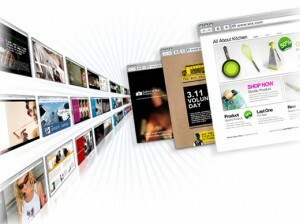 However, business owners are facing a much changed web environment today. The new ear of mobile friendly website has been raised. There is no sign that Facebook is going away anytime soon like Friendster and MySpace. Hence like Twitter, here is another social networking tool which is completely free and trouble-free. But while using Facebook as a business tool, you have to sure that you must setup a business page instead of a personal profile. 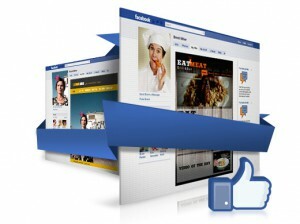 But keep in minds that that Facebook page must have similar ‘look & feel’ like your website. Facebook can be strict with rebellion and take down profiles that do too much endorsing if they’re not billed as businesses. Is should contains all your contact information, some photos of your office space, your logo and selected works. You can insert tabs to the top of your page. For example, you might want to add one for your works in development or portfolio. People who use Smartphones don’t leave their house without them. Correction: They use their Smartphones to surf the net while in their homes as well. The popularity of these devices has made clear that online and mobile are a catholic marriage: inseparable but not necessarily in love. Hence, optimizing your website for mobile browsing requires time and expertise. But don’t worry! 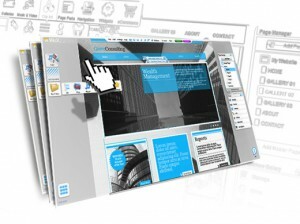 There are several tools are available for making your website mobile friendly. Building flash websites is very complicated work. But it can achieve interactive user experience. These websites are beautiful, full of visual stimuli and can be easily edited and updated.As well you can use services such as Wix for building beautiful flash website with ease. Already promoted your business? 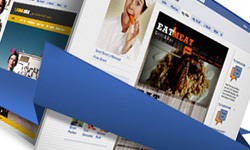 We’d love to see your promotions of Facebook Page, flash or mobile friendly website. Share your links below and you could get featured on our blog.